Lick Observatory Anne Kelly Connor's images prominently feature glass plates made at the Lick Observatory in the late nineteenth-century through the early twentieth-century and fit Cosmos' core themes of transformation and wonder. Linda Connor's gorgeous gold-toned prints form the Lick Observatory in California are a long-time staple at photo-eye Gallery and we are thrilled to have a number installed in our current exhibition, Cosmos. 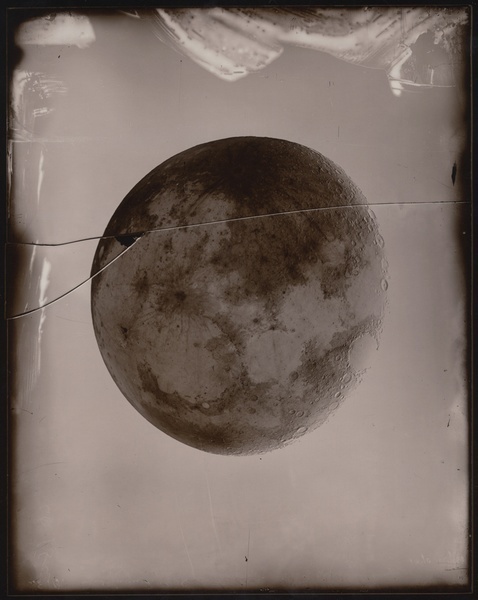 Connor's images prominently feature glass plates made at the Lick Observatory in the late nineteenth-century through the early twentieth-century and fit Cosmos' core themes of transformation and wonder. Gallery Director Anne Kelly spoke with Connor about the Lick Observatory project back in 2012 during our Solar exhibition and detailed the heart of how and why the series came to be. We would love to share an excerpt from that work with you here. 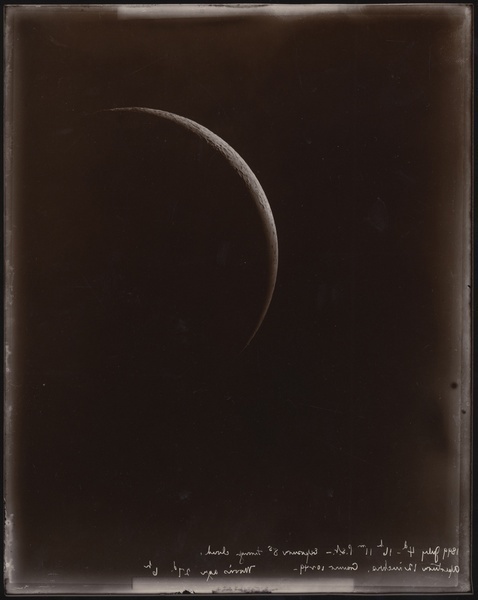 Linda Connor’s contributions are a magical selection of beautifully printed gold-toned images printed from glass plate negatives from the archive of the Lick Observatory in California, most of which were recorded by the observatory between 1890-1920. Connor’s prints are exposed by the sun on printing-out paper from the original glass plate negatives, which were made by a variety of important photographers including E.E. Barnard. In her own images, Connor is known for her imagery of the ancient and sacred. She has traveled extensively in India, the American Southwest, Nepal, Thailand and beyond, recording images with her 8x10 view camera. The other day I asked Connor to share a little more of the story behind her images printed from the archives of the Lick Observatory. Though I already know a great deal about Connor and her work, I really enjoyed hearing the full story, and by the time our conversation was over, I had scribbled several pages of notes. 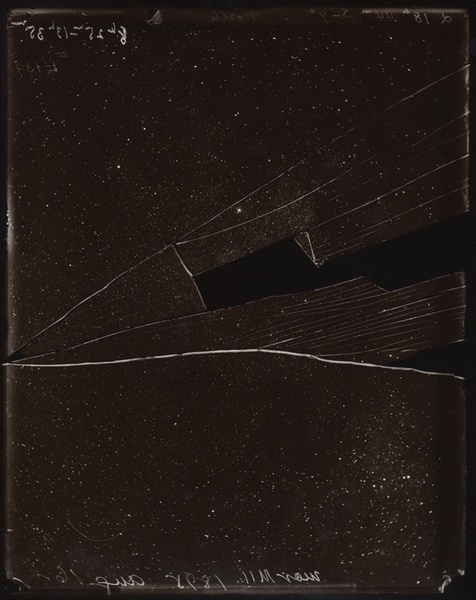 It was in 1969 that Linda Connor first learned about the glass plate negatives in the archives of the Lick Observatory, but she did not start printing them until 1995. After receiving her MFA from The Institute of Design, Illinois Institute of Technology, Connor moved to San Francisco and applied for a job at The San Francisco Art Institute. As part of her interview with Jerry Burchard, Burchard asked to see some of Connor’s work. Her portfolio box contained a few images that were printed from a glass plate negatives and it was these images that sparked a conversation which lead him to tell Connor about the amazing archive of glass plate negatives and that he had had the opportunity to print a few of the plates. 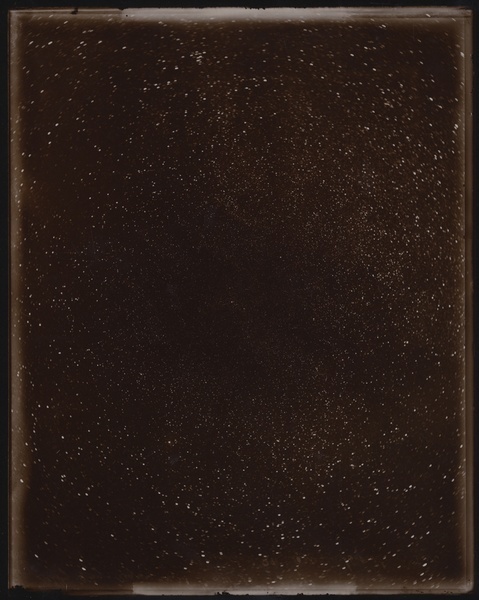 Burchard described an entire map of the night sky made up of a giant grid of negatives, as well as others including a selection of 20x24” plates of the Milky Way, but a rumor circulated that no one was able to touch the plates that made up a grid of the night sky. Connor was immediately interested in making prints, especially from the plates of the Milky Way, however, even if she was able to get access, the paper that she wanted to use, printing-out-paper, was only available in single weight at that time, which was not heavy enough for such a project. Connor did eventually end up with a job at SFAI, teaching beginning photography, where she teaches today. It was years later that her paper of choice, printing-out-paper, became available in double weight, and she was still intrigued by the project. Even after the paper was available, it was still a few years before Connor was able to gain access, but she eventually did. Connor became quick friends with her supervisor, Tony Misch and his wife Victoria and she was given the key to the archives and was invited to spend weekends at their home so that she could print all weekend. 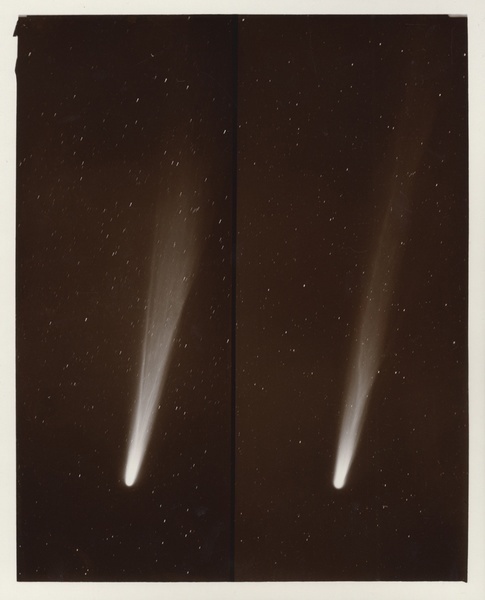 Between 1995-2000, Connor spent four or five weekends per year printing at the observatory. Most of the negatives that she had access to were 8x10”, while others were larger. All of the negatives were fascinating, but not all necessarily made nice prints, but fortunately, she had time to sift through the archives. Connor would pick out a few plates at a time and take them outside to expose, using the sun on the back porch of the visitor center. If you visited the Lick Observatory between 1995-2000 it is very possible that you witnessed Connor exposing the plates. After the printing-out-paper was exposed, it was then returned to a light-tight bag so that it could be developed and gold-toned when she returned to her studio. Though Connor made more than one print from each plate, the gold toning process makes each print quite unique. Cosmos remains on view at photo-eye Gallery through July, 20th, and includes five works by Connor from the Lick Observatory series. For more information and to purchase prints please contact Gallery Staff at 505-988-5152 x202 or gallery@photoeye.com. Prices listed in this post were current at the time it was published.